I would love to get helpful hints on how to maintain the stencil that I have ( a cactus) as a coherent shape once the bread is done. I have scored my bread before putting it in the oven, put my stencil on top of the risen bread, sprinkled white and at another time brown rice flour over the stencil to get a successful shape…but when the bread is baked the shape is not maintained. 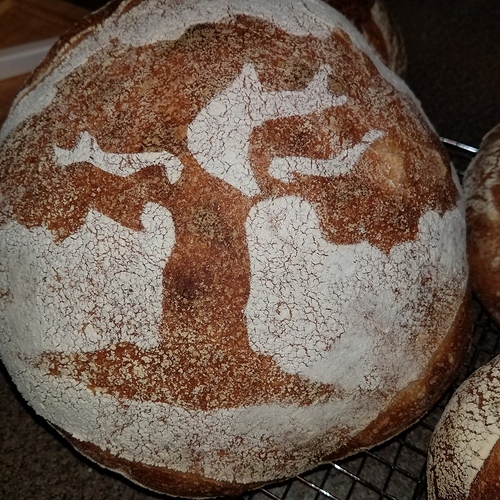 I would think you cant score anywhere the stencil image is, naturally the bread will expand and distort your image.